Per THR, WB has brought in Matthew Robinson to develop the script. Robinson may not be a household name now, but he is one of the writers credited on Monster Trucks. He takes over Christopher McQuarrie’s place as the head screenwriter. McQuarrie, who is now directing two Mission: Impossible films, wrote the first Edge Of Tomorrow. Details on what could be in the sequel are still not known. However, it would most likely be a follow-up and a prequel to the first Edge Of Tomorrow. In that film, directed by Doug Liman, PR military man Cage (Tom Cruise) finds himself stuck in a time loop and gets help from Rita (Emily Blunt), a fellow soldier who was stuck in a time loop, to get himself out of it. 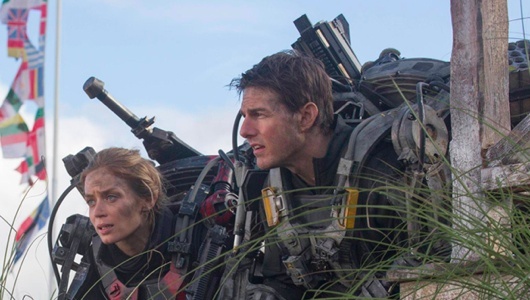 Though the first Edge Of Tomorrow wasn’t much of a commercial success, it was a hit with critics. Soon it would find a cult following, and calls for a sequel came pouring in. Of course, we will keep you updated as soon as more developments come in.